What will be the consequences if incorrect invoice details are uploaded on GSTN Portal while filing GSTR 1? 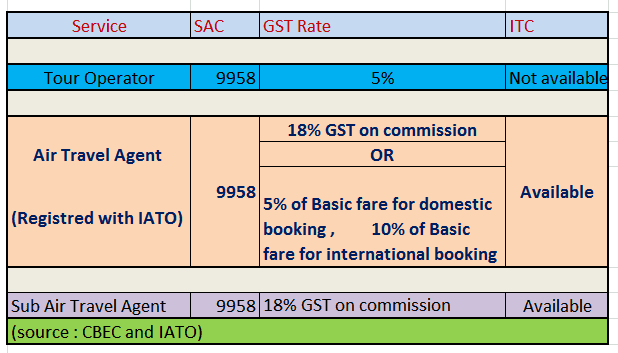 How any one can amend these details? 4. Deficiency found in the supply made but what about correction of clerical mistakes. Here, the writer wants to highlight the consequences of furnishing above mentioned wrong details and way to correct them. As per the Returns rules provided by the government information shall float in the following manner in case of B2B forward charge supplies. In our present case the issue is that the supplier has shown incorrect GSTIN and party while filing the GSTR - 1. 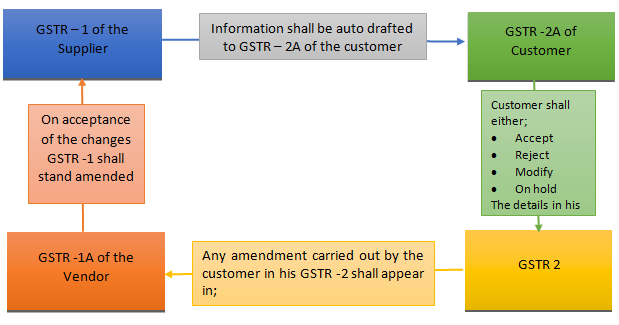 Hence, the details shall not be auto drafted to the customer GSTR -2A. Therefore, correction cannot be simply carried out by the process explained in above diagram. In these case correction needs to be carried out in two GSTR -2 returns. • First, the original customer should add that particular invoice in his GSTR - 2. • Secondly, the person whose GSTIN is punched erroneously and as a result of that inward supply is appearing in his GSTR - 2, should delete that invoice from his GSTR - 2. • And third the last step but not the least the supplier should accept both the changes. Accordingly, in an aforesaid manner these situations can be tackled out. But, the issue is that Government has provided only two days' time period for these corrections which is a cause of concern for tax practitioners around the country. Further, the answer to the following question also become very crucial. First, If the person whose GSTIN is punched mistakenly accept that invoice and avail input tax credit. Then will supplier is supposed to pay double taxes on a single sale? Secondly, if due to any reason the issue is settled in the same tax period, does the law provide any other remedy to taxpayer to correct that mistake in the returns of subsequent periods? Answer to above question shall very from case to case. Let's discuss them one by one. Case 1: If the customer add the invoice in his GSTR 2 and the person in whose GSTR 2A the invoice is appearing due to mistake of supplier also accept that invoice. Step 1: He should reject the invoice added by the customer. Step 2: Further, table 9(a) off GSTR 1 provides the option to supplier to correct the details of any invoice (Only GSTIN, No. Date & value) pertaining to earlier tax period. Hence, in the GSTR 1 of the subsequent month, the supplier can revise the limited details furnished earlier. Now, on the basis of revision made by the supplier customer will get the credit in the month in which revision is carried out. Consequence 1: There would be a mismatch in supplier and customer returns, therefore, the customer will require to pay interest on Input tax credit claimed by him on a provisional basis in the earlier tax period. Further, the interest shall be calculated from for the time when Input tax credit is claimed and till the period mismatch is not corrected (i.e. by reversing the ITC). Consequences 2: The person who wrongly avail the credit on the basis of invoice auto populated in his GSTR 2 due to error will have to reverse the Input tax credit with interest. Case 2: If the customer doesn't add the invoice in his GSTR 2 and the person in who's GSTR 2A the invoice is appearing due to the error of the supplier accept that invoice. Corrective measure: Only Step 2 need to be followed as discussed in Case 1. As, the customer has not added that invoice in his GSTR 2, therefore the consequence 1 shall not arise. Case 3: If the customer doesn't add the invoice in his GSTR 2 and the person in who's GSTR 2A the invoice is appearing mistakenly reject that that invoice. Corrective measure: Only Step 2 need to be followed as discussed in Case 1. As, neither the customer has added the invoice his GSTR 1 nor the other person has accepted the invoice. Therefore, none of the consequence discussed in Case 1 shall arise.